Nestled on the banks of the majestic Ottawa, Rideau and Gatineau Rivers, Ottawa is one of the most beautiful capital cities in the world. A thriving international technology and business centre and world class tourism and convention destination, Ottawa is also rich in culture and heritage with its many national institutions, parklands, waterways and historic architecture. Ottawa is home to a large number of foreign embassies and is a recognized centre for both academics and professional training. The city offers an open and welcoming environment to cultures from around the world, providing service in English, French, and a host of other languages. The city’s residents enjoy an enviable quality of life that is recognized around the world. Ottawa is the capital of Canada and is the fourth-largest urban area in Canada, with a population over 1.2 million. 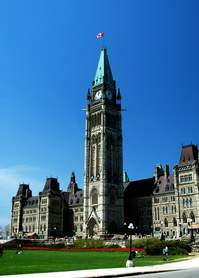 The Government of Canada, Parliament, the Senate, and the Supreme Court of Canada are based in Ottawa. Ottawa is home to over 1,800 high technology companies, employing more than 76,000 people. Ottawa has the highest-educated workforce in Canada and has more engineers, scientists and PhDs per capita than any other city in the country. Ottawa is a magnet for tourists. The Capital region hosts over 7.3 million visitors per year, who spend over $1.18 billion. Families in Ottawa have among the highest median incomes of any Canadian city. The Ottawa region has three basic types of businesses: export companies serving markets all around the world; regionally focused companies serving Ottawa residents and businesses; and our rural economy. Ottawa is a global technology and business centre as well as a world class tourism and convention destination. More than 1500 companies are involved in key growth sectors such as telecommunications, software, photonics, semiconductors, defence and security, life sciences, tourism, wireless technologies, film and video, multimedia, professional services and contact centres. The region also benefits from the entry of new seed industry sectors such as biophotonics, environmental technologies, electronic pay systems, and micro electromechanical systems (MEMS). Ottawa is home to dozens of federal government organizations, as well as scores of foreign embassies who provide trade links to their own domestic businesses. On the regional front, Ottawa benefits from a rich array of retail, hospitality and service companies. Ottawa is also the agricultural capital and economic centre of Eastern Ontario. One of the greenest cities in Canada, Ottawa has abundant of parks, forests, waterways and open spaces. Hundreds of kilometres of cross-country ski trails and bicycling, rollerblading and jogging paths crisscross the region, and wind alongside the three rivers and canal that converge on the heart of the city. Meandering through the middle of Ottawa is the Rideau Canal, a UNESCO World Heritage Site and, in the winter, the longest skating rink in the world. 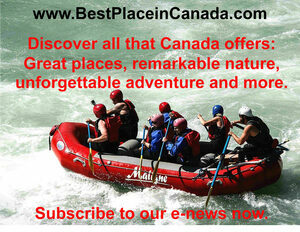 In summer, canoeists, kayakers and tour boats ply its waters. Ottawa is surrounding by a 532-square-kilometre (205-square-mile) ring of open space - parkland, forests, wetlands and even a working farm. Just minutes from downtown residents and visitors are treated to beaches, golf courses, ski hills and whitewater rafting spots. Ottawa is also surrounded by hundreds of lakes of cottage country. Ottawa also borders the Province of Quebec and gives locals immediate access to the beautiful forests, trails and walkways of Gatineau Park – a four-season wonderland. Ottawa enjoys world-class fine dining, arts and entertainment venues. The National Arts Centre and the National Gallery of Canada to the Canadian Museum of Civilization and the many other museums, libraries, archives and historic monuments that showcase the region's history, its culture and its heritage. Ottawa is always alive with the sounds of music – live performances of pop, folk, blues, rock, celtic, jazz, alternative and classical music to Opera Lyra and the National Arts Centre Orchestra’s astounding performances. For those who enjoy an urban lifestyle, accommodations range from quaint, turn-of-the-century stone houses to high-rise condominiums and from cozy heritage apartments to large country estates – all within a short distance to the heart of the city. If you’re considering living in a cosmopolitan city within walking distance to the heart of the city and its night life, Ottawa has a wonderful range of choices for urban living. One of Ottawa’s appeals is its marriage of urban sophistication with pure country charm. The city’s downtown core is surrounded by cozy neighbourhoods, and just beyond them lie family-friendly suburbs surrounded by fields and farmlands. It doesn’t take more than about 20 minutes in any direction to reach the country from the city, and there are many small villages and rural communities within easy commute to Ottawa. In fact, over 90% of the Ottawa region’s area is rural, providing a host of choices when you are looking for a rural lifestyle.